Made by the Somerset Cheese Company from pasteurised goat’s milk. This is a firm, pale coloured cheese with a smooth creamy texture. A nutty cheese yet with a sweet edge. 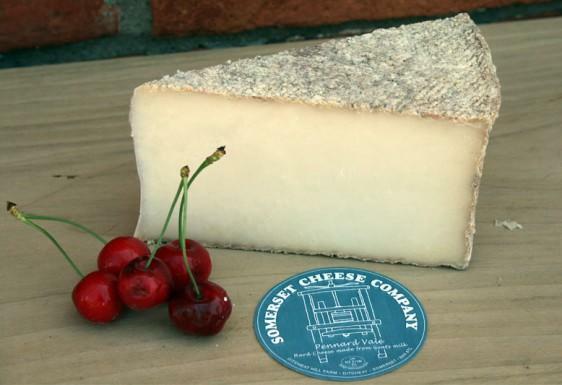 Pennard Vale Goats Cheese takes its geographical name to link with the other popular goats milk cheese that is produced at the Somerset Cheese Company. Protein 26.1g. Salt 1.7g. Energy 1562Kj, 376Kcal. Fat 29g, of which saturates 20.8g. Carbohydrate 2.7g, of which Sugars<0.1g.